Here, you’ll be able to explore exciting graphics ideas from Signs Now that will help your business stand out from the rest - from signs and banners to digital signage and trade show displays. After carefully listening to your specifications, our professionals will develop effective solutions to meet your requirements for corporate image, communication qualities, and durability. Our enhanced customer service team and an ever-expanding range of innovative signage products are available to enhance the visual appeal of your business! 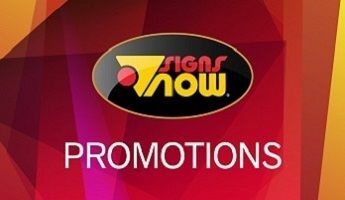 Browse through our signage products and services, or call Signs Now Rockford today to learn more. Have been using Signs Now for many years and they always produce exactly what they are asked. Great quality and good service. Barb S., GinestraWatson Co., April 2019. Love the fast, comprehensive service you provide to our nonprofit organization. Beverly P., The Salvation Army, April 2019. Dale M., Miller, Dale, April 2019. When you need custom signs electrical signs, custom banners, full color vehicle graphics or monument sign, you can count on Signs Now Rockford. We deliver professional sign solutions to local businesses and organizations. We are a full service sign company that can help with each step of your advertising project. Whether you need to signs for a construction site, a tradeshow booth or run a store sales event, Signs Now Rockford will provide you with unique and effective signs to ensure your success. As a full service company we help our customers with design, installation and maintenance of our professionally manufactured signs and graphics. 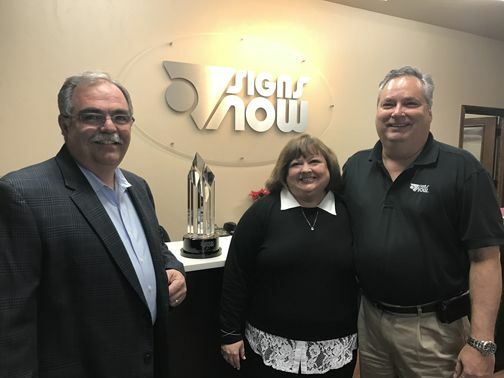 At Signs Now Rockford we listen to our clients and deliver signs and graphics that support our customers’ goals and objectives. Signs Now Rockford is a modern sign company that uses advanced technology to produce efficient high quality signs and solutions. Our talent, expertise and industry experience can meet the signage needs of our clients when they need to run a corporate event, political campaign or a grand opening.